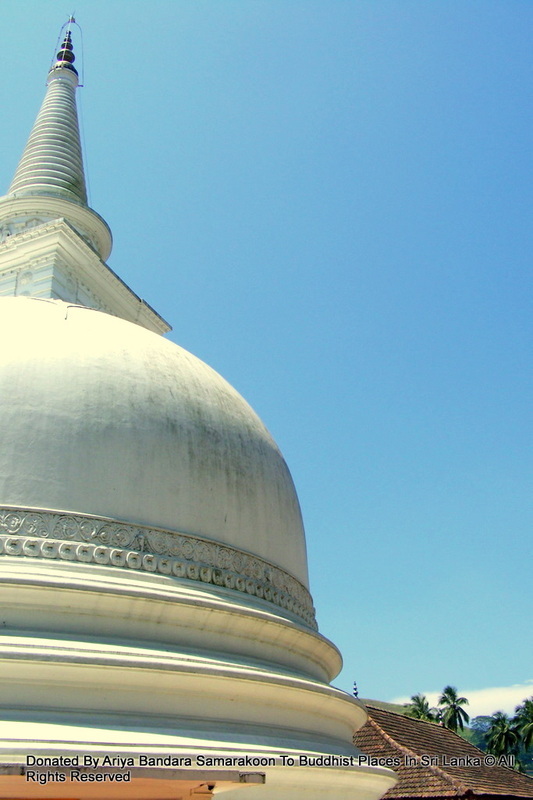 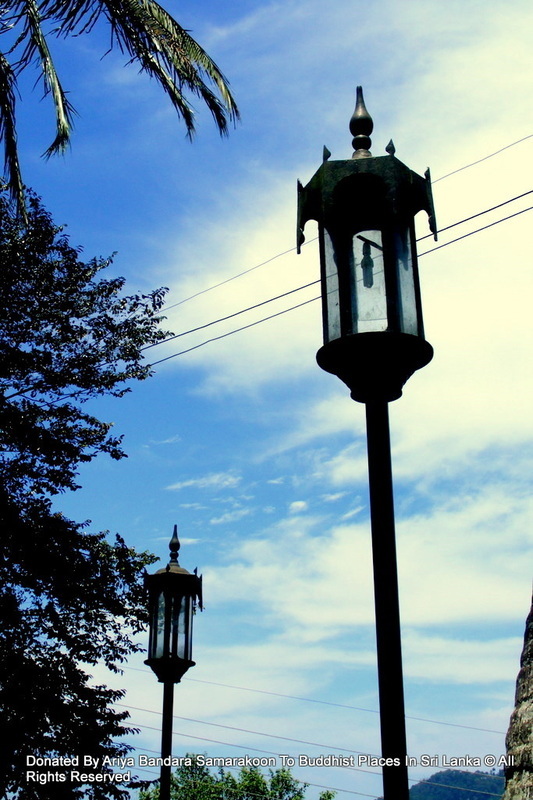 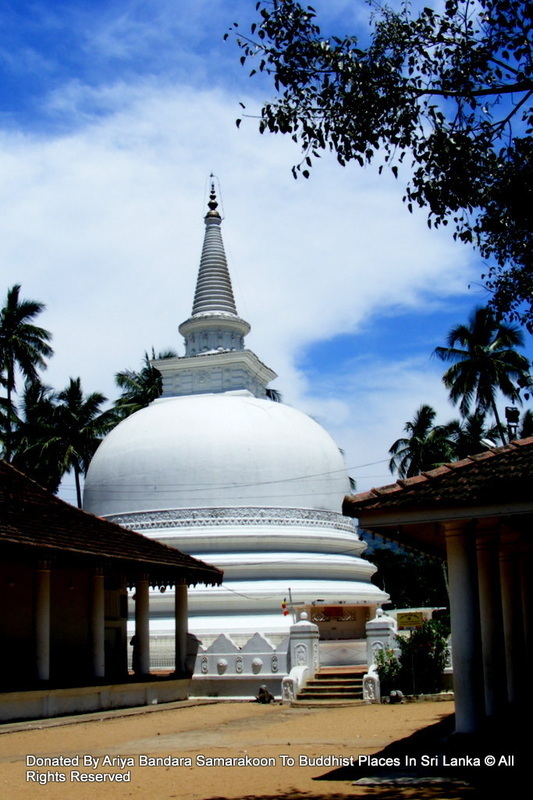 Muthiyangana Raja Maha Vihara is an ancient Buddhist temple located in the middle of Badulla town in the Badulla District of Uva Province in Sri Lanka. 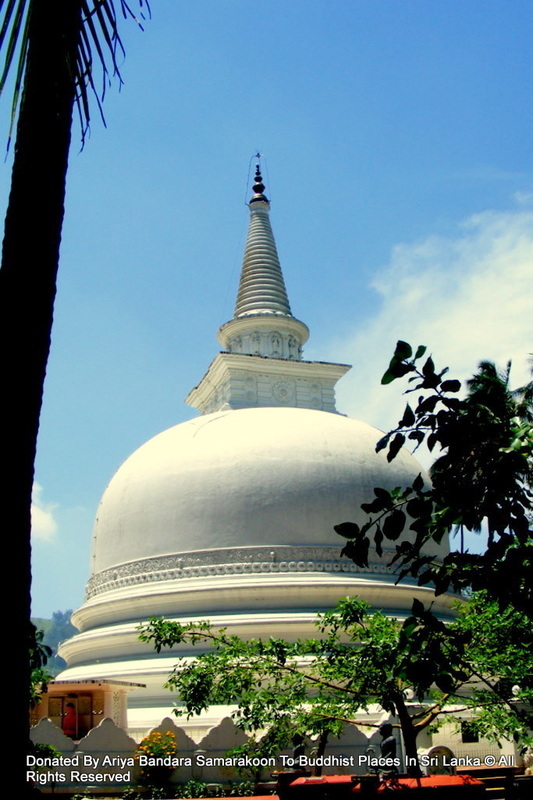 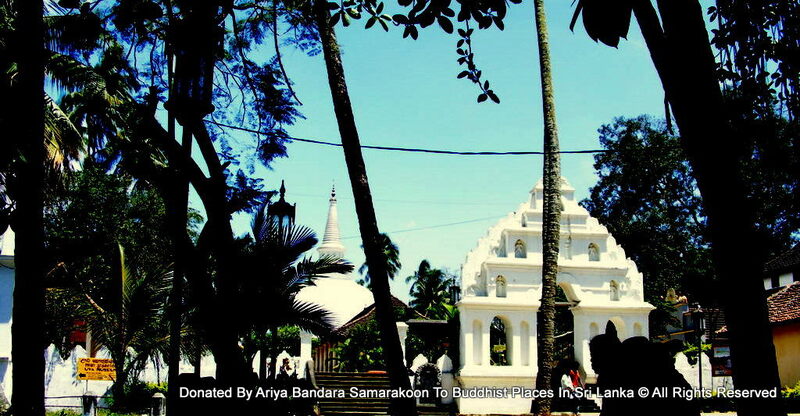 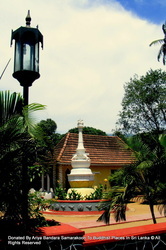 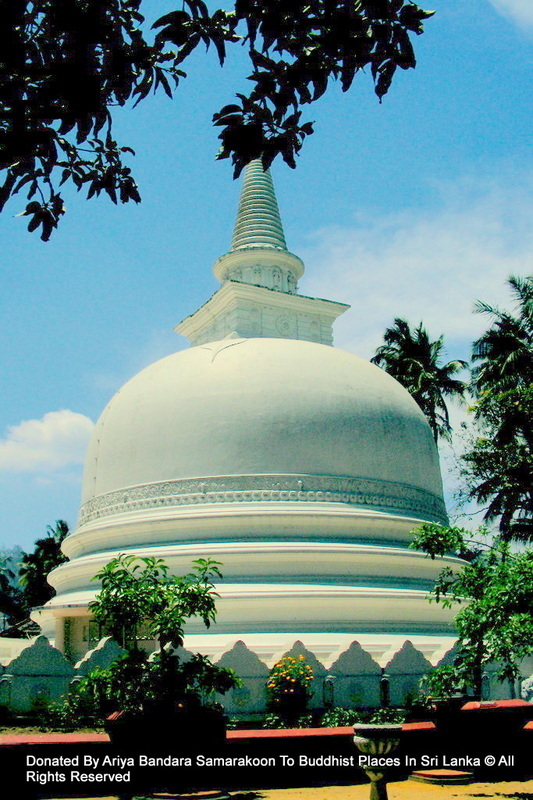 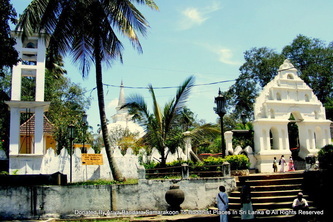 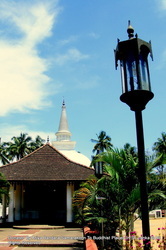 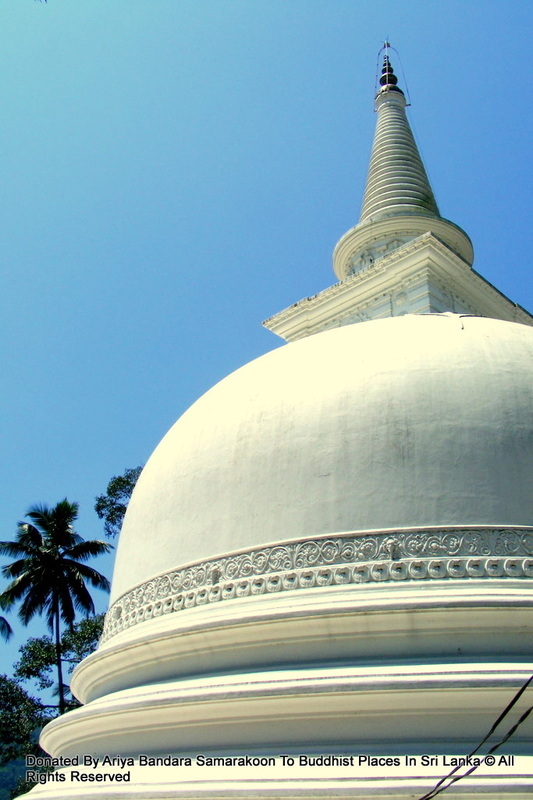 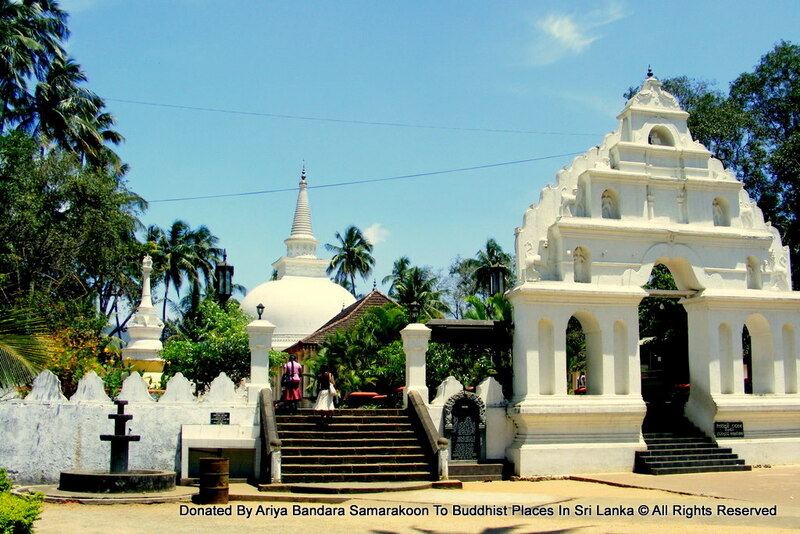 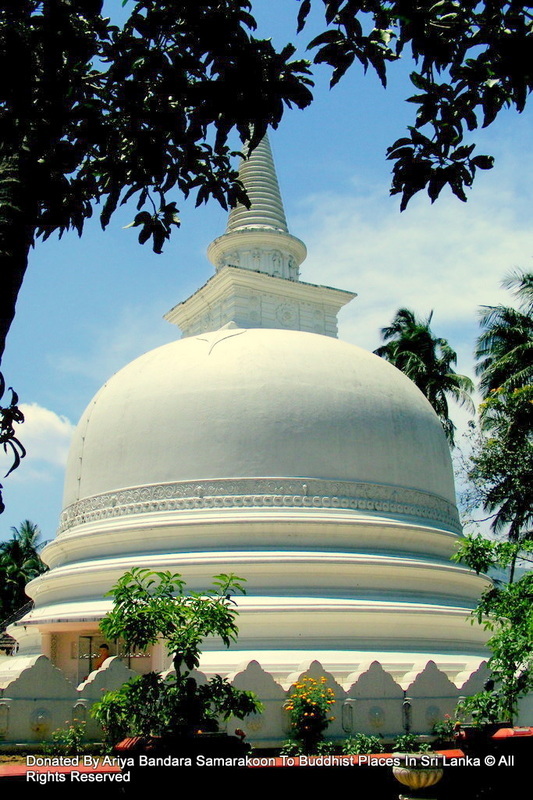 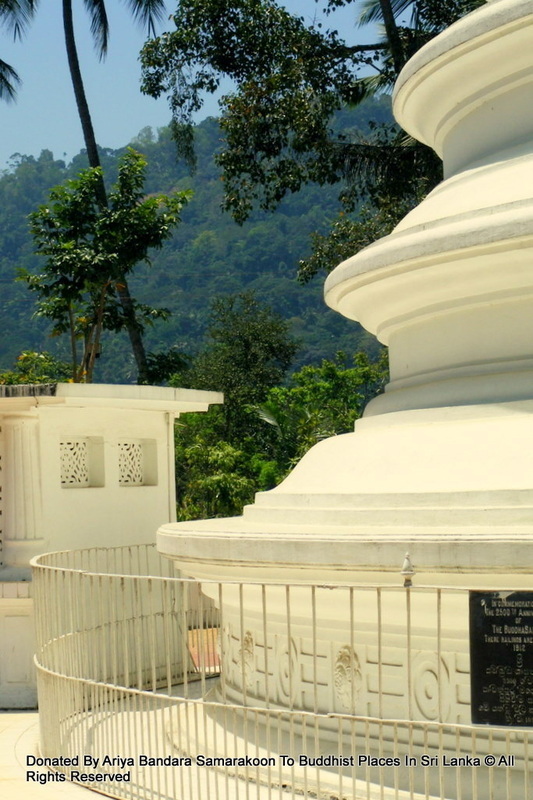 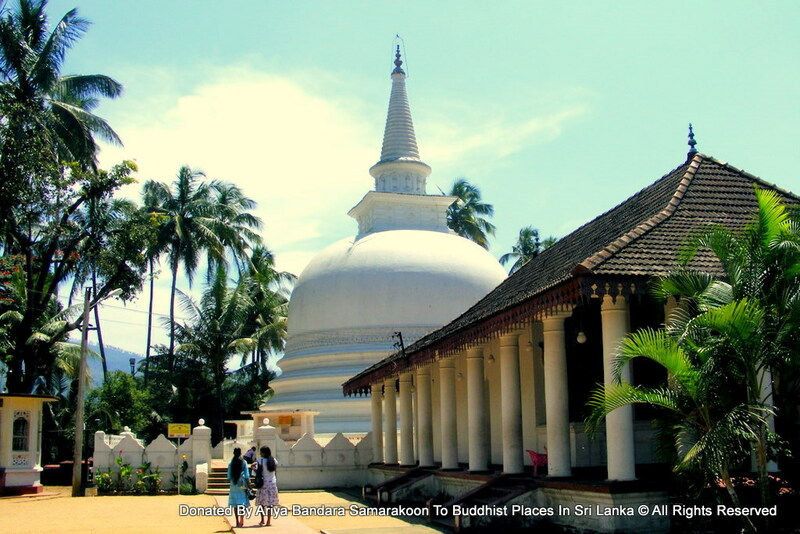 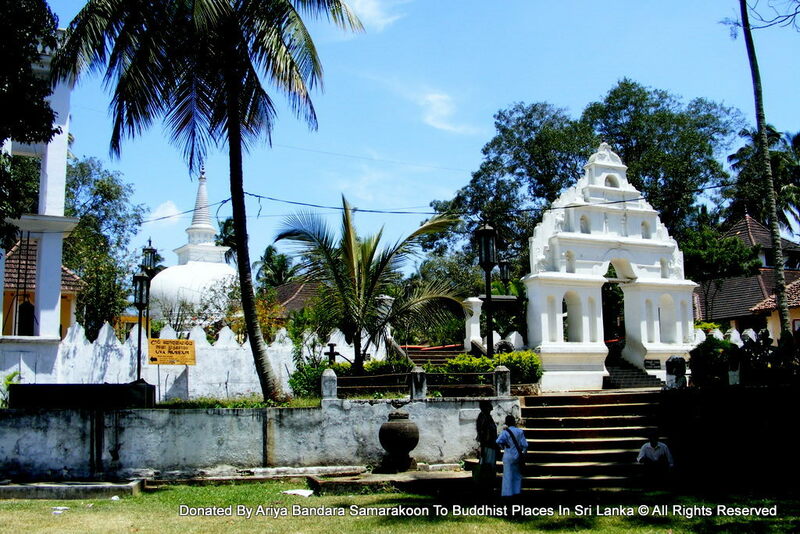 History of this site starts with the Lord Buddha’s 3rd arrival to the island but legends on the area called Badulla begins from 19th – 18th century BC. 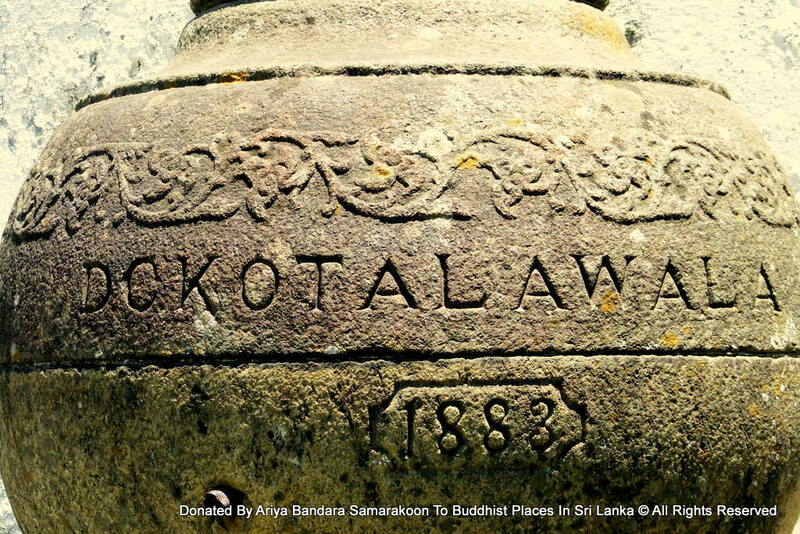 Some names of places in the area, e.g. 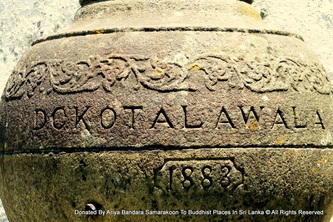 Seetha Eliya,Seetha Kotuwa, Ravana Ella, etc., refers to the Seetha and Ravana - the main characters in the Indian episode titled Ramayana. 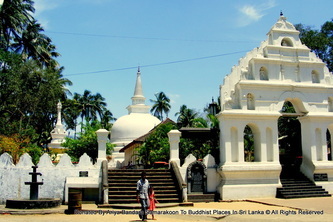 So it is believed that said war had taken place in this locale, where was the capital of then powerful king named Ravana who rulled the island.Buddhists believe that this site has been visited by Gautama Buddha, and it is regarded as one of the Solosmasthana, the 16 sacred places in the country. 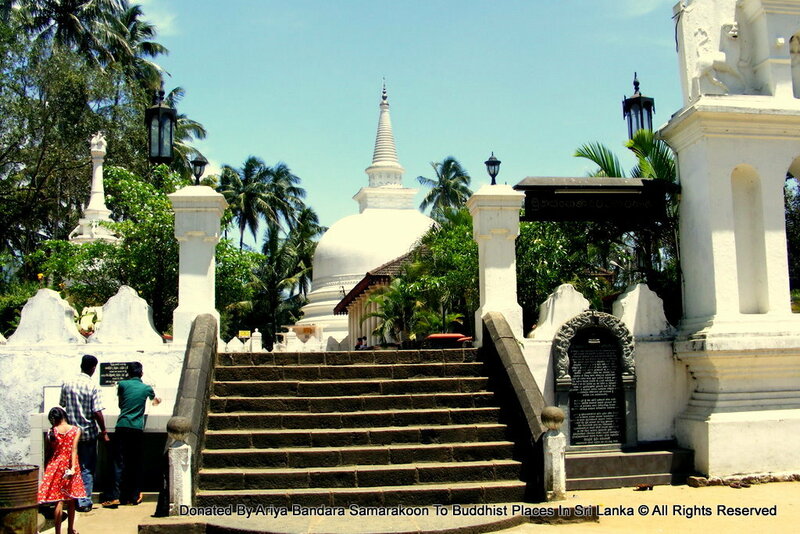 On the 8th year after attaining the Enlightenment, the Lord Buddha made His 3rd visit to Kelaniya on the invitation by a king of Naga people named Maniakkitha. 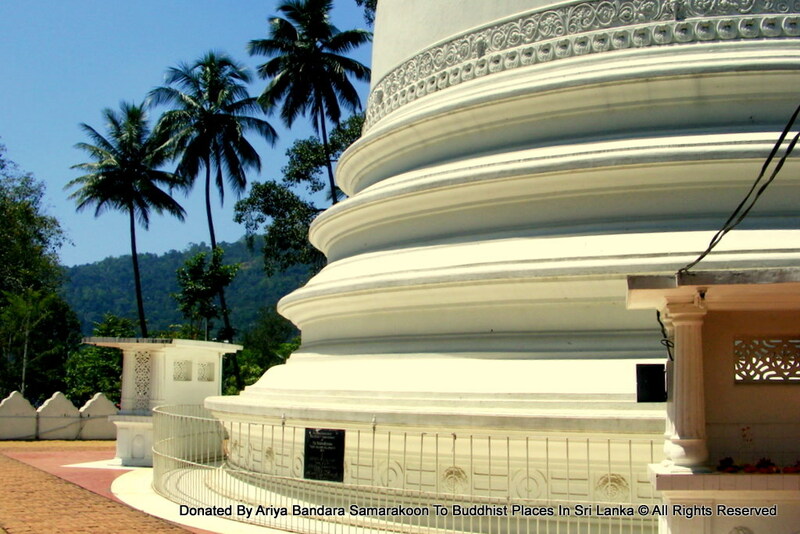 During this visit, a local chieftain named Indaka invited Lord Buddha to visit his place in Badulla. 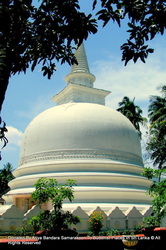 At the end of sermons made by Lord Buddha there, Indaka had wanted something to worship in memory of Lord Buddha's visit. 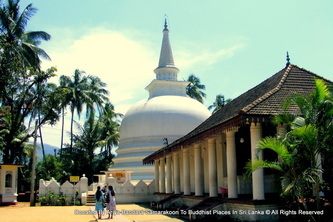 The Lord Buddha is said to have gifted him a few of His hair and a few drops of sweat that turned into pearls (mukthaka). Indaka had enshrined these secred hair and pearls in a stupa, believed to be the stupa here. Indaka, the chieftain of then Deva people is now regarded as a deity, reigning the Namunukula mauntain range and Muthiyangana Raja Maha Viharaya. 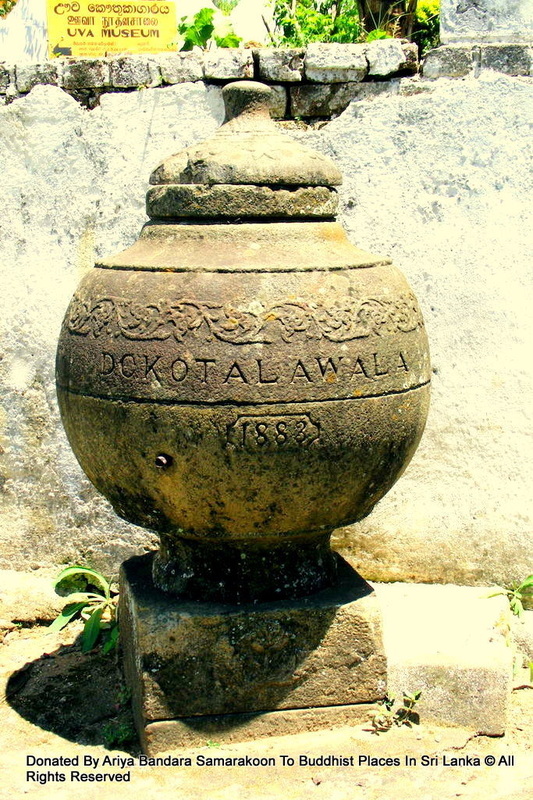 This site is not cited in well known historical chronicles such as Mahavamsa, Bodhi Vamsa or Dhātuvansa but mentioned in the Samantapasadika which is older than the former documentaries. 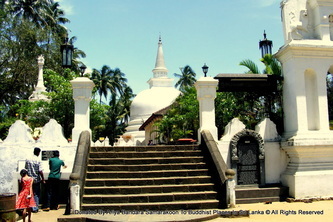 It states, "The Lord Buddha visited this island trice. 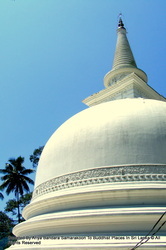 Third time He arrived with 500 monks. 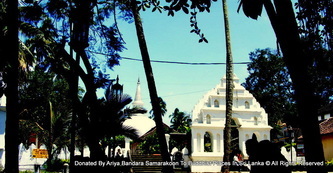 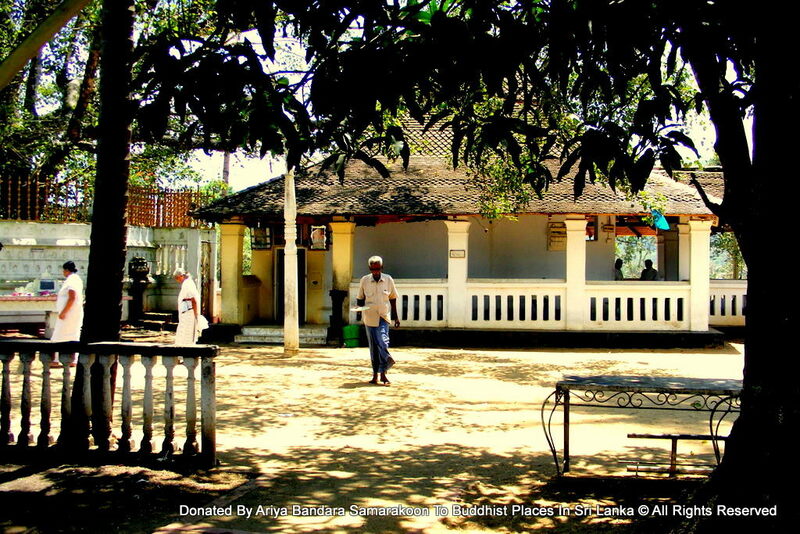 Being entered into Nirodha Samapatti (attainment of ceasing of feeling and perception) He stayed here...", turning the site into most sacred religious one for the Buddhists. 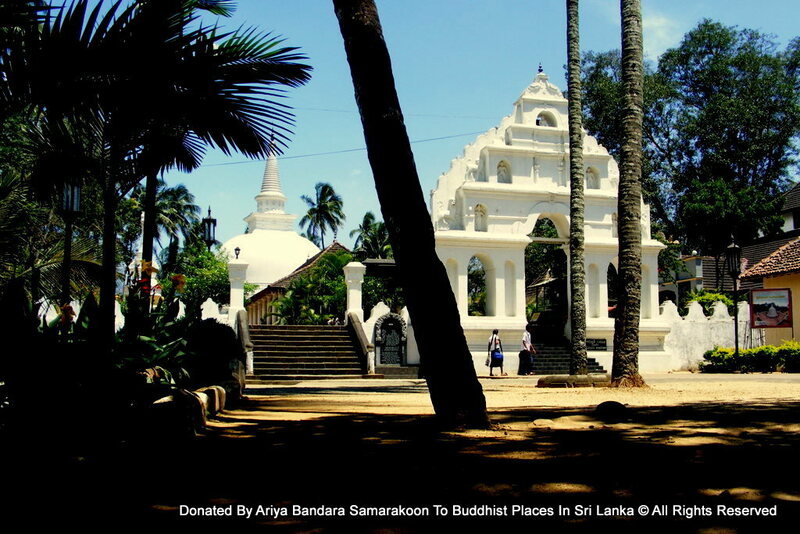 This is also regarded as one of 32 Buddhist religious sites wherein the saplings bred from Anuradhapura Jaya Sri Maha Bodhi have been planted. King Devanampiya Tissa (307 - 266 BC) further developed the original stupa and turned the site into a temple complex. Thereafter King Jettha Tissa I (266 - 276 AD), King Dhatusena (459-477 AD), KingVijayabahu I (1055–1110 AD) and King Parakramabahu I (1153–1186 AD) have renovated the stupa. The main thorana (pandol) is at the entrance to the temple. 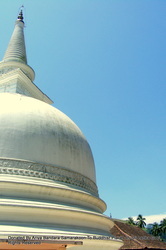 It has six levels and Makara (Dragon) is visible on the second level. The other makara thorana has been built at the entrance to the main image house. 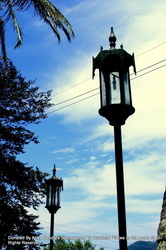 There are two image houses – main and center. 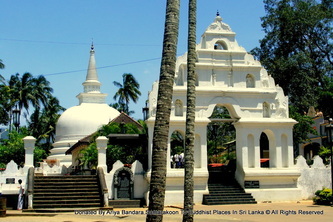 Ancient appearance of these two buildings has been vanished due to refurbishment in 1960’s and 1970’s. 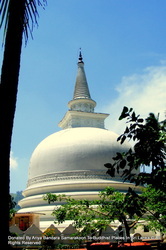 The present stupa was constructed with the height of 65 feet (19.8 m) and diameter of 270 feet (82.3 m) on the ruins on ancient one in 1956. 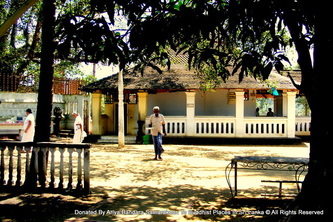 ]There are four Bo trees (Bodhi) remaining in the temple. One is named after Maliyadeva Thera, a disciple believed to be the last one who had attained the state of Arhant in Sri Lanka. Another Bo tree is calledAnanda bodiya as it had been brought from Jetavana monestey in Sravasti in India wherein a Bo tree with the same name still remains. Another Bo tree which remains in this site has been considered as it originated from Jaya Sri Maha Bodhi and planted by King Devanampiya Tissa.